It booted with quite garbled graphics, but enough for me to get through a couple of steps in the installer. 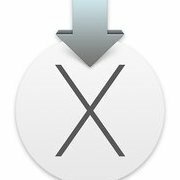 For some reason, in the Time Machine-Install OS X-Get Online Support part, it wouldn't do anything when I pressed Continue. After that, I tried the same with El Capitan, and it actually did install! However, after the first boot when I deleted AppleIntelHD* from S/L/E, where it worked well, I couldn't get it to run again - the screen freezes. I assume the system still boots, but I can't really do much when I can't see a thing.